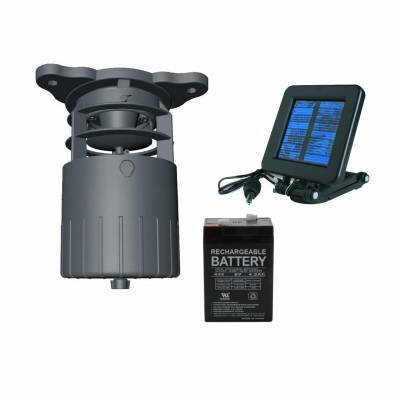 This combo includes a 6v rechargeable battery and a plug-n-play solar panel. Moultrie 6V Digital Pro Hunter Deer Feeder Kit. 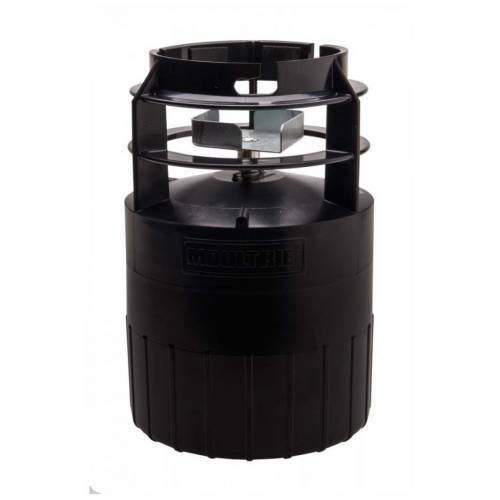 The Quick-Lock adapter mounts to any barrel, and quickly detaches to swap to a protein feeder or to replace the deer feeder. Throws feed in a 40ft diameter circle.